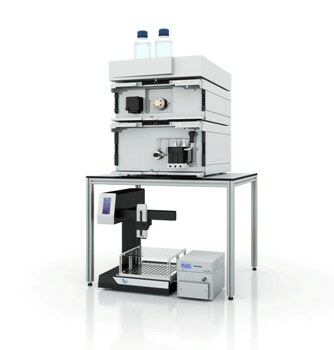 AZURA Pilot Bio LC 100 was designed for scale-up and process applications in laboratory scale. The AZURA Pilot FPLC system is optimized for the purification of milligram to gram samples. All system modules can be freely exchanged and further ones can be added optionally, to find the best configuration for each purification task. The system proposal consists of a biocompatible buffer pump equipped with the possibility to perform an accurate binary or ternary gradient using the attached LPG valve block. Monitor your gradient over the whole run using the conductivity monitor. Inject your sample via the buffer pump and the integrated injection valve. The wavelength to detect your sample is freely selectable. The fraction collector collects your purified fractions reliably. The system is controlled via user friendly FPLC software PurityChrom® Bio. This software offers a high flexibility in method development and provides you with complete control over your run. Pre-designed methods are included in the software and can be easily adapted and upscaled by changing the column volume. The system is designed for 1/8" capillaries an on request in 1/16".